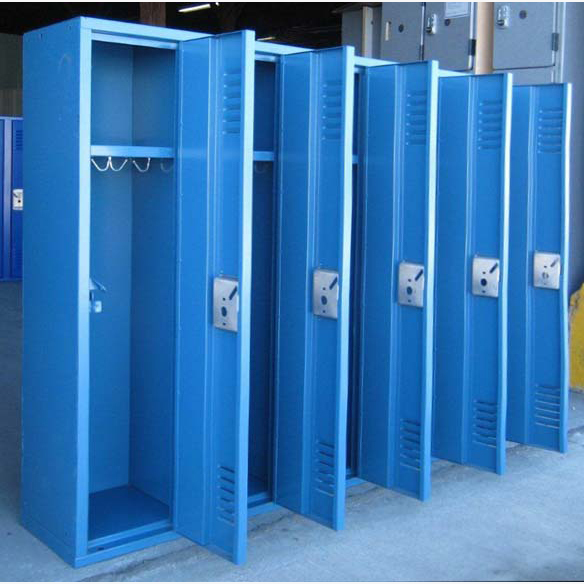 These Small Metal Locker In Blue are available on www.buyusedlockers.com where they have a huge selection to choose from if we need additional supplies. 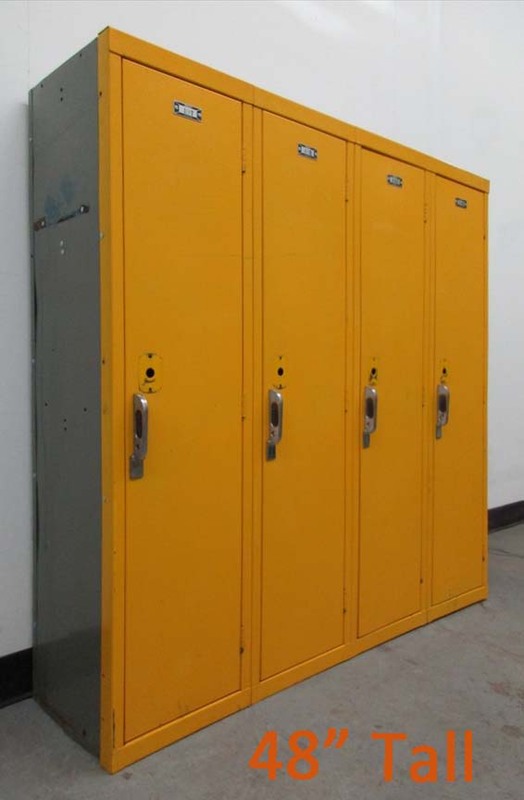 We just received these excellent (like new) used all welded lockers that are 12” wide x 12” deep x 48.5” high. 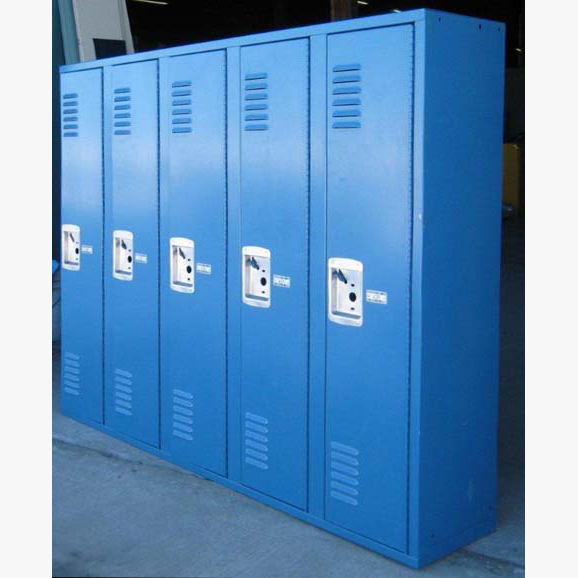 These are all welded with reinforced doors that add to the overall strength and durability. 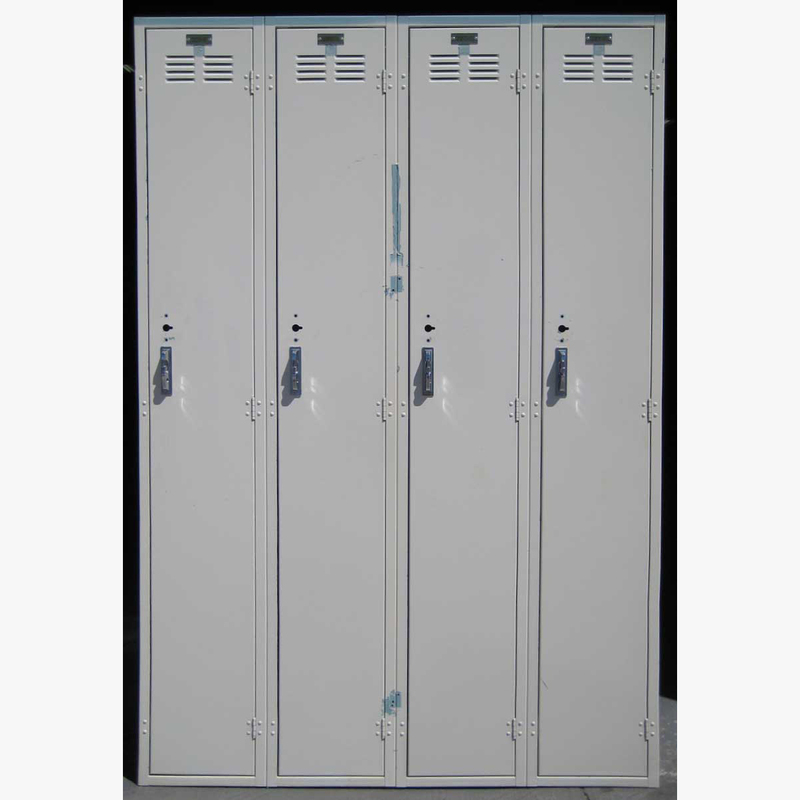 These are a foot shorter than most small metal lockers making them ideal for younger students at schools, daycares and locations with overhead obstructions. 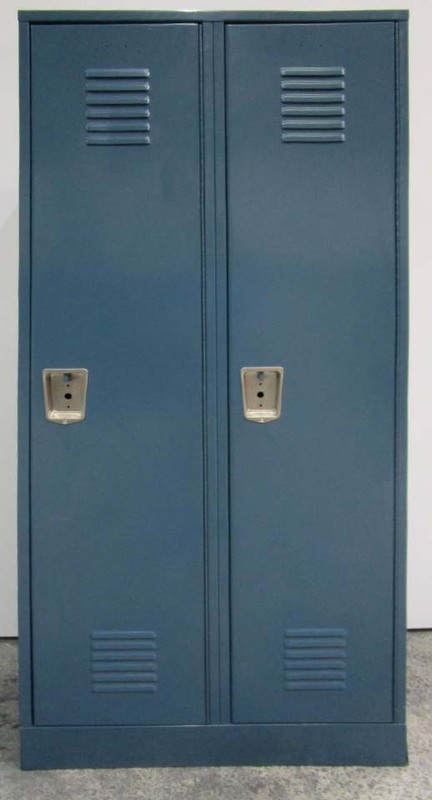 These have been painted a popular Slate Blue color both inside and out with powder coat paint that will last harsh use and conditions for years. 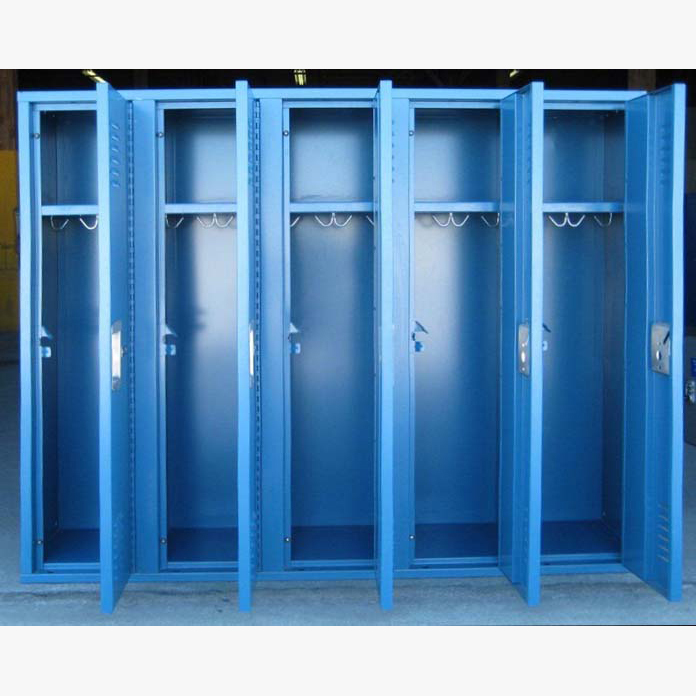 Each locker includes a shelf and hooks and can be locked with a padlock. 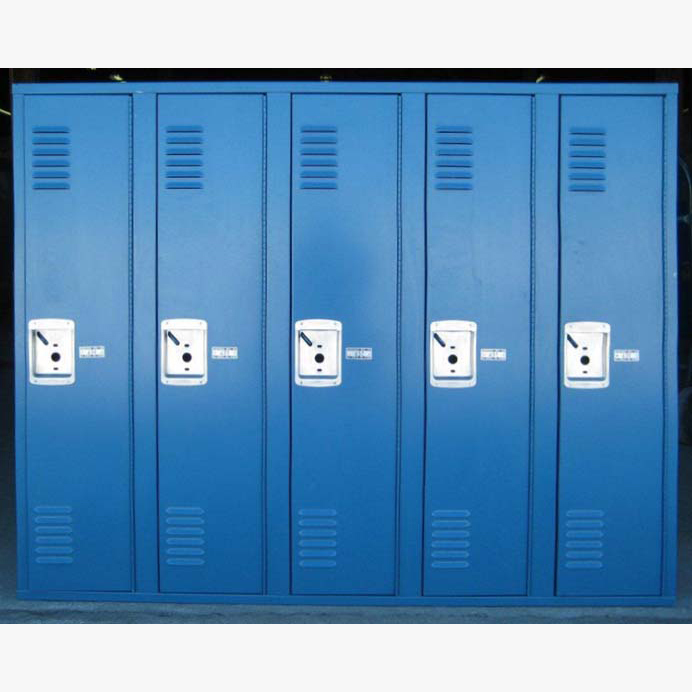 We have (46) groups of 5 locker columns each.